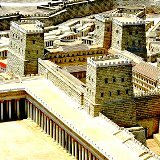 Put together a Israel or Holy Land tour group, save, and benefit! You chose when you want to come and Zack Shavin tailors the program to your needs & interests, handles all land arrangements including site & hotel reservations, and then personally picks you up at the Ben Gurion airport and guides your party around Israel. It’s easy and you’re assured a wonderful, hassle free, and safe experience! Zack Shavin, on the ground here in Israel, takes care of all land arrangements, coordinates visits and personally guides your group around Israel and the Holy Land to insure a smooth, worry free, and inspirational experience with memories you’ll cherish for a lifetime. An Israel tour or Holy Land pilgrimage not only heighten’s understanding of the Bible, but also strengthens spiritual roots while fostering a lasting sense of friendship and community among participants. Zack Shavin personally plans your tour and can therefore offer total planning flexibility: Whether visiting just Jerusalem and Galilee, or doing an all-Israel tour, sightseeing and activities are tailored to the ages, interests, & religious background, with hotels at any standard. Zack then meets you at the airport upon arrival and guides your tour throughout in order to assure you an experience of a lifetime! Perhaps you’ve dreamed of visiting Israel or making a Holy Land pilgrimage with your family or just a few friends. No problem, Zack will be happy to guide your party whatever the size. Those who have preceded you give testimony to the power of their Israel and Holy Land experience. See Clergy Feedback and Testimonials. Zack can also put you in direct contact with clients and group leaders who have preceded you. 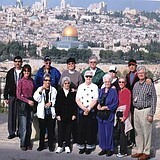 Are you interested in forming a group to visit Israel and the Holy Land? You can save & benefit and Zack will personally guide your tour. Contact Zack Shavin, veteran guide & biblical archaeologist at Land of Israel Tours today and get started planning.